Did you know that Jesus is not only our Savior, but he is also our brother! "He had to be made like his brothers" the Holy Spirit says in a few verses. 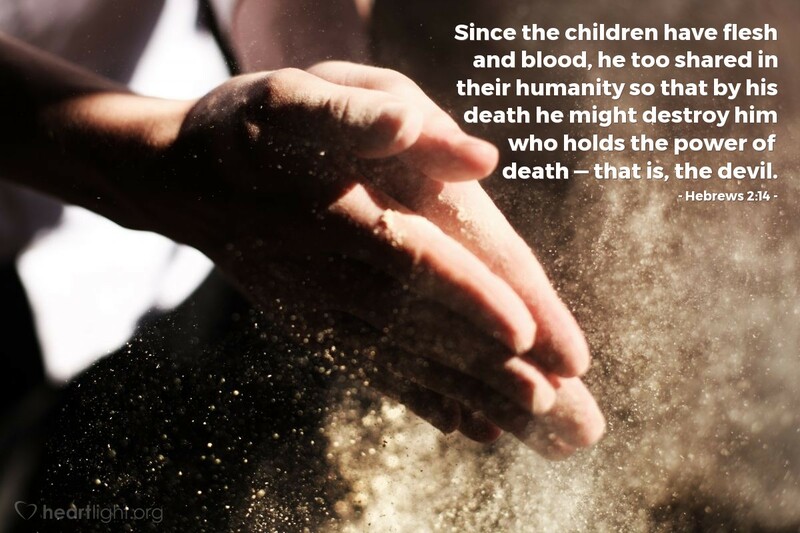 We were God's lost children so Jesus came and shared our mortality, our human skin with all its limitations, so that he could defeat our worst enemy, the evil death-maker Satan. Death no longer has its hooks in us or its hold on us, because our big brother has defeated it and has gone to prepare our place at the Father's side! Almighty God, thank you for sending Jesus to be like me and live among people like me. As I think of your sacrifice and his love, I am overwhelmed to insignificance and then I realize that Jesus' gift has now made me your child and Jesus is now my older brother. Some days, Abba Father, it is hard for me to wait for our family reunion. Until that great reunion day, please use me to help others know about your family, your gift, and your Son! In Jesus' name I pray. Amen.